DW HiHat Stand 6500 "Flat Base"
HiHat Stand 6500 "Flat Base"
The DW 6500 Flat Base Hi-Hat Stand is a stylish, retro designed snare drum stand built with the quality, features and technology of all DW hardware. 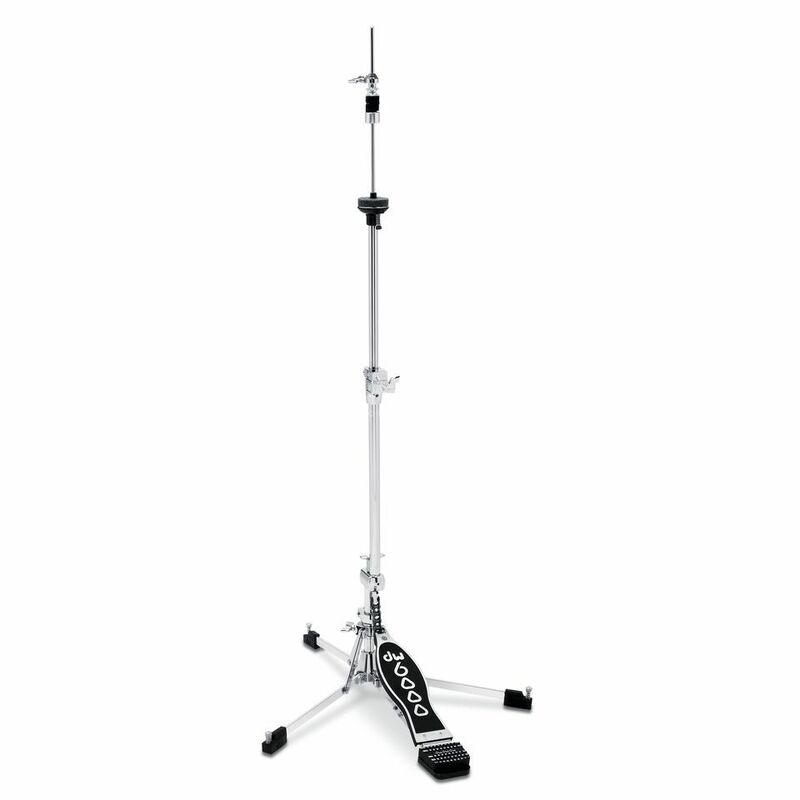 Aside from its great vintage looks, the 6500 Flush Base Hi-Hat Stand from DW includes a unique direct- pull rod linkage for incredibly smooth action and response, hinged memory locks for repetitive and consistent adjustment and delta ball-bearing hinge joints. The 6000 Series from DW is a range inspired by the classic looks of hardware manufactured in the 50s and 60s, using lightweight flat base aluminium construction and music stand folding designs. The 6000 Series is DW’s lightest hardware currently available, but still incorporating the road-ready build quality you would expect from the American manufacturer.